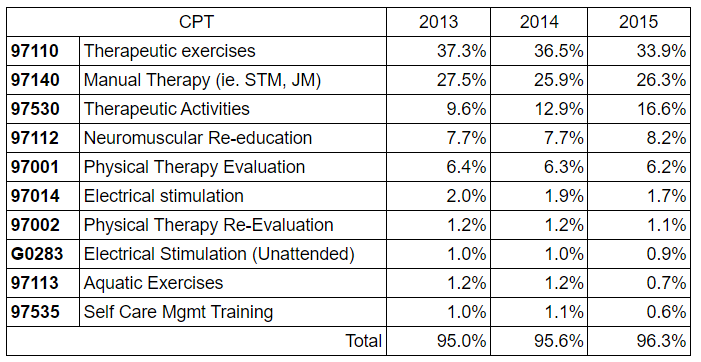 What are the habits that a physical therapist needs to accelerate their progress towards success? Working with some of the most successful clinic owners in the country, and by identifying what they want to achieve, Erika Trimble has identified what the 10 key successful habits are for clinic owners who want to live their professional dreams. 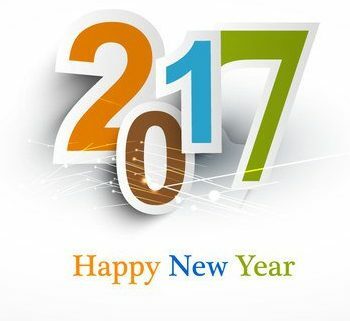 As we start the new year, we’re all looking for ways to continue to grow and develop our business. How well were you goals from last year achieved? And when setting goals for this year, will your goals cost you or will it pay in the long term? In this current competitive atmosphere, what are the five things you should do to prepare your business for the New Year? Complacency undermines the success of your practice, follow these steps to avoid slowing down your business and to prevent your competition from profiting from your inaction. Click here, Erika Trimble explains what five things you can do to avoid slowing down your practice’s growth and driving your patients to the competition. Why isn’t your practice still growing? Have you wondered why your physical practice seems to have stayed roughly the same size for the past few years? With only modest fluctuations, you have about the same number of clinician days, active patients, and the same turn over now as you did before. And yet, it wasn’t that long ago, it seemed as though your practice was growing effortless, year over year. It’s much easier to grow when there are fewer practices competing in your area. 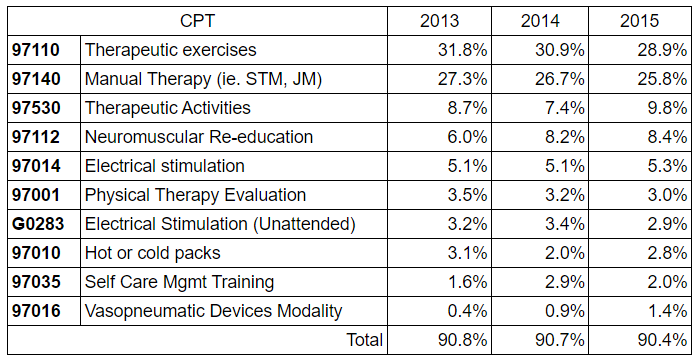 There are more clinics now and the competition is likely going to become more intense in the years to come. 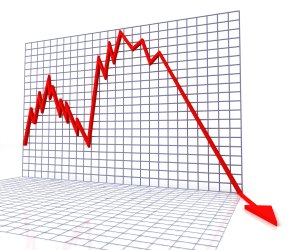 Despite this, there are practices that continue to see low attrition and strong growth. How do they do it? 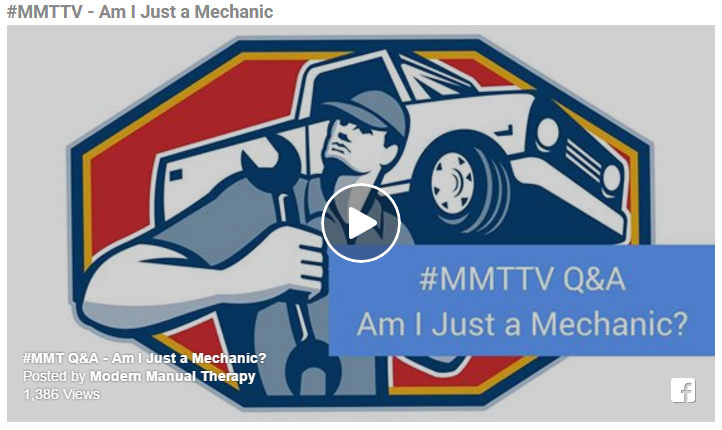 Q&A: Am I Just a Mechanic? Click the photo below to go to their website to see the answer on video. Join us in the Wynn Hotel in Las Vegas at the 2016 PPS Conference! We’re proud to be a part of this great annual PPS conference again this year. 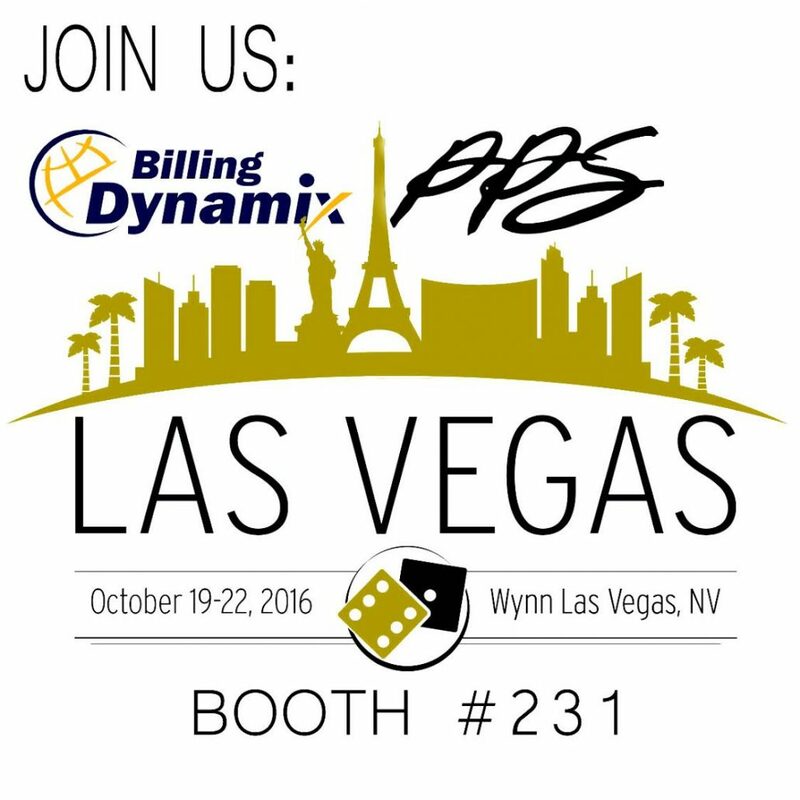 We’ll be in booth #231 near the PPS Membership and Voting table in the Exhibition Hall, September 20-21st. It’s always a highlight of the PPS conference for us to meet so many of you, from all over the country, in person. We look forward to seeing those familiar faces as well as the newer members of our community this year. 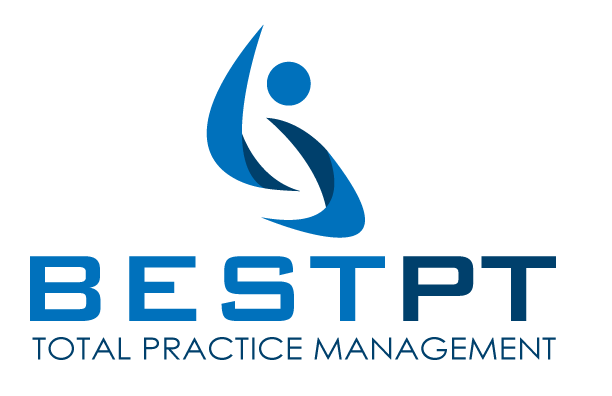 Being a practice owner is a difficult and lonely task. 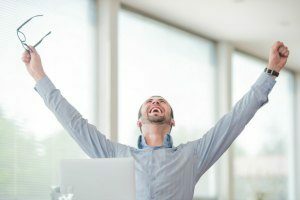 It’s difficult to know what your competition is doing, and even if you were to ask, they’ll generally only offer guarded responses or exaggerate their successes. Erika Trimble, renowned business coach, offers a list of what strategies and tactics are being used by the most successful and innovative practice owners, and which ones are working for physical therapists. The U.S spends more on Healthcare than other countries. 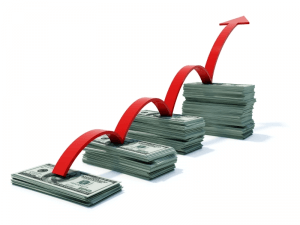 Does spending more per capita result in better outcomes? We currently work off (FFS) Fee for service plans. 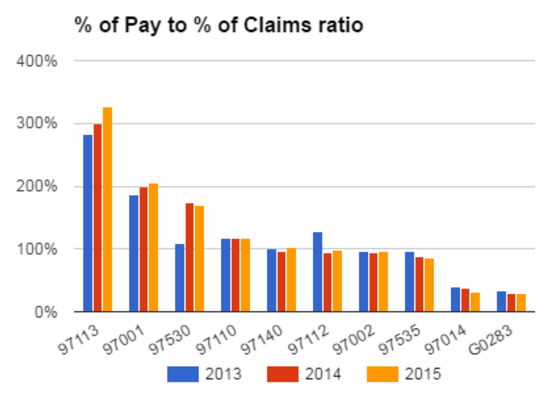 The problem with this method of reimbursement, providers are not be held accountable. What’s next in the future of Healthcare? Introducing Pay-for-Performance. New commercial payer contracts with alternative payment methods based on performance to be in place by 2020. Based on the new rules, your practice may experience a change in coding to meet new performance guidelines. Will the trends in 2017 change where we see an increase in re-evals (97002) or Self Care Management Training (97035)? 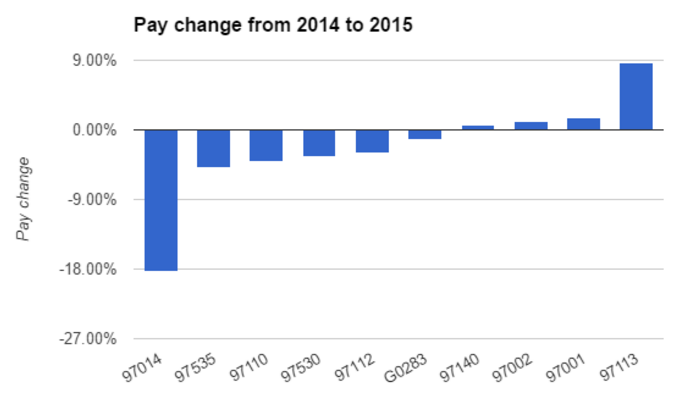 As the CMS and the private payers work on their ‘New’ pay structures it’s a good idea to monitor your yearly trends and monitor outcomes early. 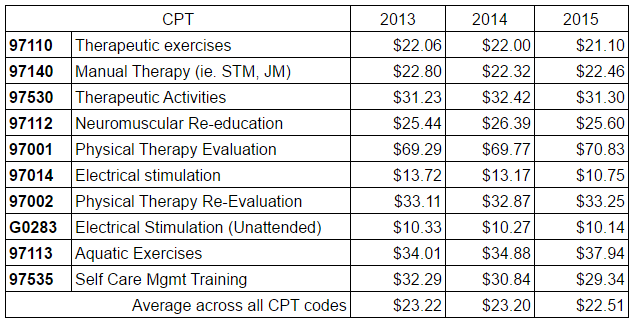 225 different CPT codes were reported in 2015 for Physical Therapist, yet, the top 10 CPT codes constitute 90% of all reporting. While we noticed a slight reduction in use for 97110 and 97140, other codes e.g. 97530 slightly increased. The increase of the use of 97530 is due to a better understanding of how to use and when to use this code. 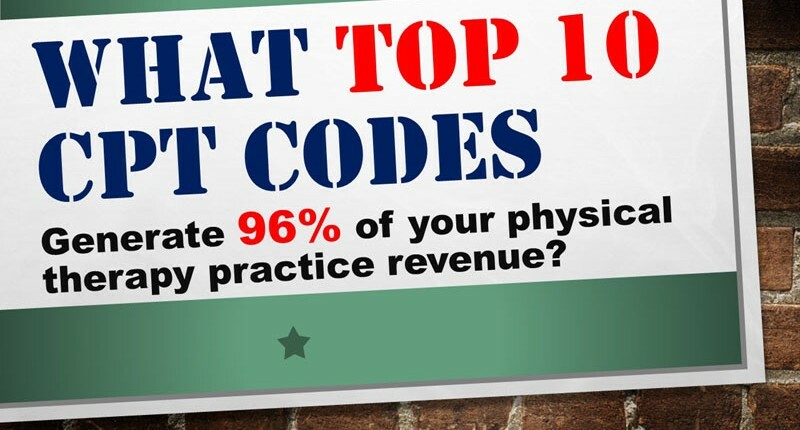 The 10 most paying CPT codes generated over 96% of all pay in 2015! We see high similarity to previous years trend with some reduction for 97110 and some increase for 97530. 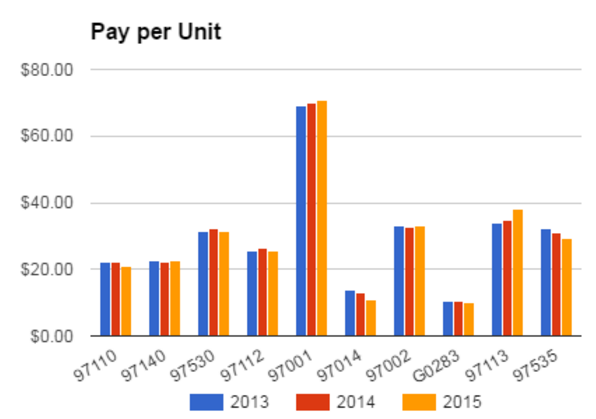 The average CPT collections per unit was $22.51 in 2015, which is 3% less than 2013 average pay. 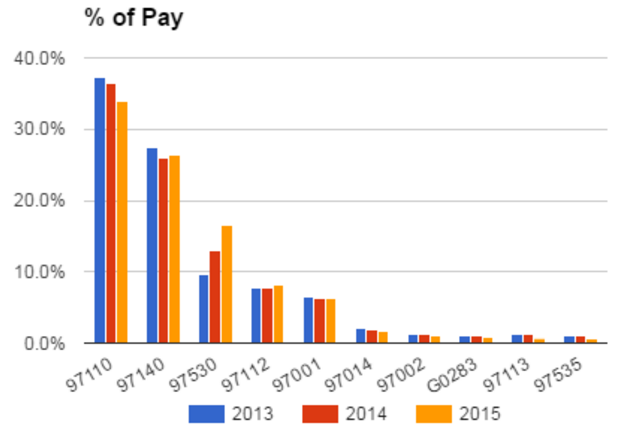 Most of the CPT pay in 2015 is lower than previous years by almost 3%, the few exceptions are lead by 97113 Aquatic Exercises which is almost 9% higher. Physical Therapy is one of the hardest and less appreciated professions and we do see only the most dedicated providers surviving. This is why we do our utmost to get the money you deserve – so that you can stay open and keep on helping people. 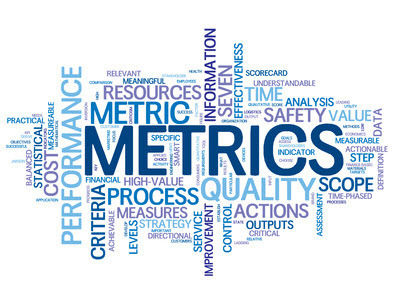 What Metrics Should You Track in Your Practice? They’re all related to each other and they all affect each other. 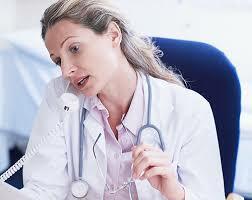 These Key Performance Indicators (KPIs) must be measured to know the health of your Practice. 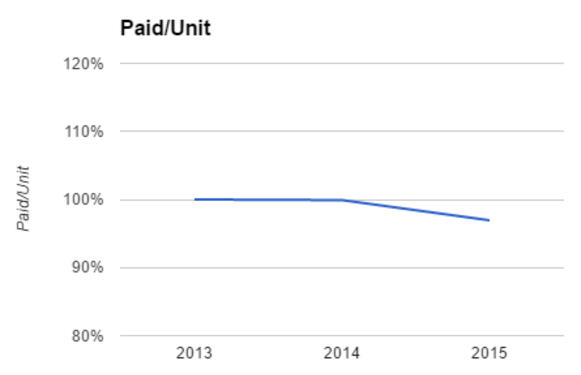 Some practices want to track other metrics and that’s easily changed within our PT billing software. Which ones do you track? Do you even care about these numbers? How do you track these metrics? 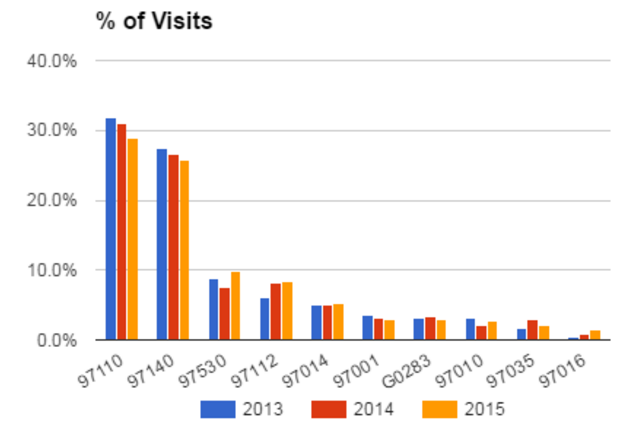 Do you have a tool to monitor them with a simple glance at a chart? 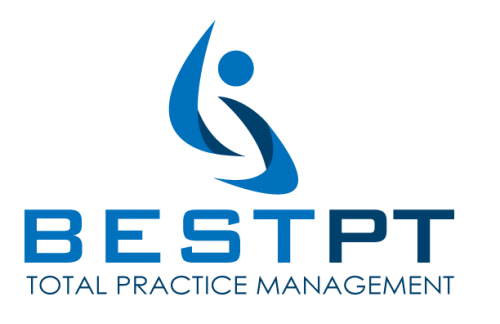 The tools to track these numbers are built into our PT billing software and your Practice Success Coach will help you to understand the metrics and their relationships to the other metrics. Your Coach will help you set-up a Practice Health Monitor and that’s where you can see these numbers at a glance at a radar chart. Other tools are available in our software as well. 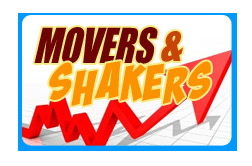 Learn more with the free webinar that can be viewed right on this page.